Beautiful 3-4/2/2 Car Garage, 1 story Red Brick home on quiet cul-de-sac. Grand entry with elevated ceilings, art niche, formal dining, study, open concept family room and kitchen. Large master suite with garden tub, separate shower, double sinks & amazing walk-in closet. Split bedroom plan. Beautiful scraped hardwood look flooring, Plantation shutters, solid surface counters & double pained windows! Cozy patio with lush landscaping & fenced backyard. 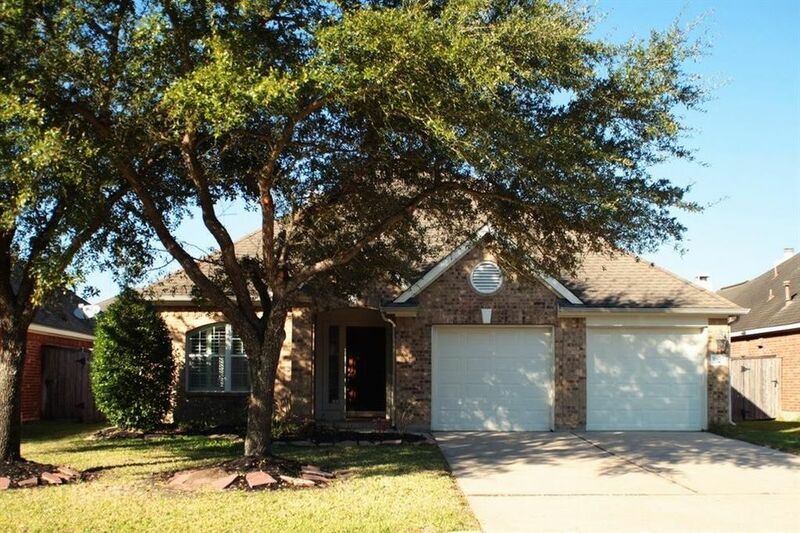 Perfect location with easy access to all major freeways, hospitals, shopping & Cy-Fair ISD!! Directions: From I-10 West go Right or North on Hwy 6, at Yorktown Crossing go Left, then Kings Briar go Left, then at Eaton Glen go Right on Belleshire Glen then left on Fleethaven and finaly Left into Rittenberg. House on Left.